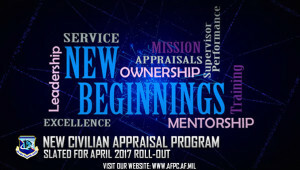 The Air Force will roll out a new Department of Defense civilian appraisal program in April 2017, designed to improve overall job performance, enhance supervisor and employee communication and more effectively develop and reward the workforce. 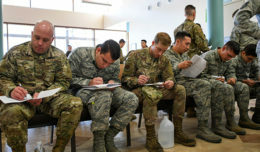 Educational training is available to civilians and their supervisors in advance of the roll out. Training options include web-based training via Joint Knowledge Online, an eight-to-12 hour in-resident class, or a combination of the two. 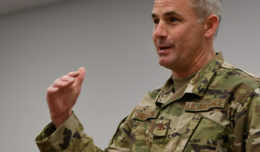 Employees will receive information about scheduling and taking DPMAP training when it is planned for their base. DPMAP training is mandatory for all DPMAP covered civilians and their supervisors. 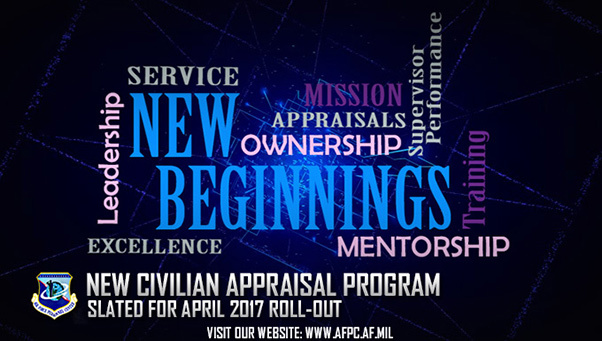 For more information, search “New Beginnings” on the myPers [https://mypers.af.mil/]web site. 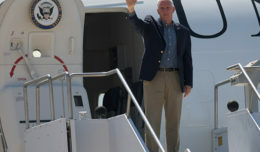 Additional information can also be found at Defense Civilian Personnel Advisory Service [https://www.cpms.osd.mil/]on the New Beginnings page or by visiting the local civilian personnel office.